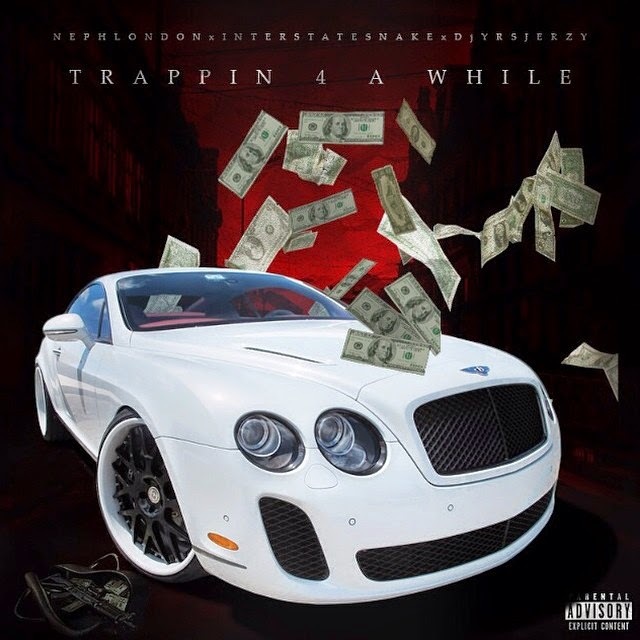 NephLon Don Ft. Interstate Snake & DJ YRS Jerzy - "Trappin 4 A While"
NephLon Don has been making quite a name for him self in the past month or so since he has signed with DJ YRS Jerzy. Teaming up with Interstate Snake and DJ YRS Jerzy they have created a release with a dope trap based sound titled "Trappin 4 A While". This track includes hard hitting 808's and it is just real quality street music to play in the whip, club, radio or all above. There is alot more to come for these three artists and they are working on building more and more each day. There will be a remix to this release as well just make sure to follow up with these artists via social media for the big announcement of who it will be.